Protect your home from the Grinch this Christmas holiday season. 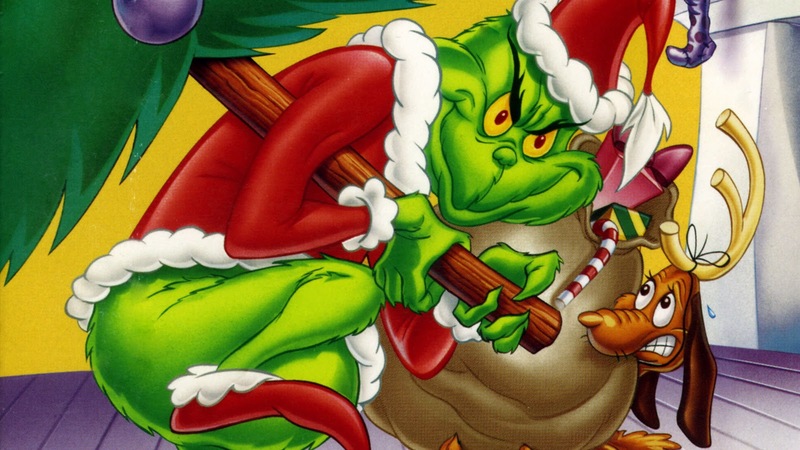 The Grinch who stole Christmas reminds us of all the reality of burglaries during this time of year. 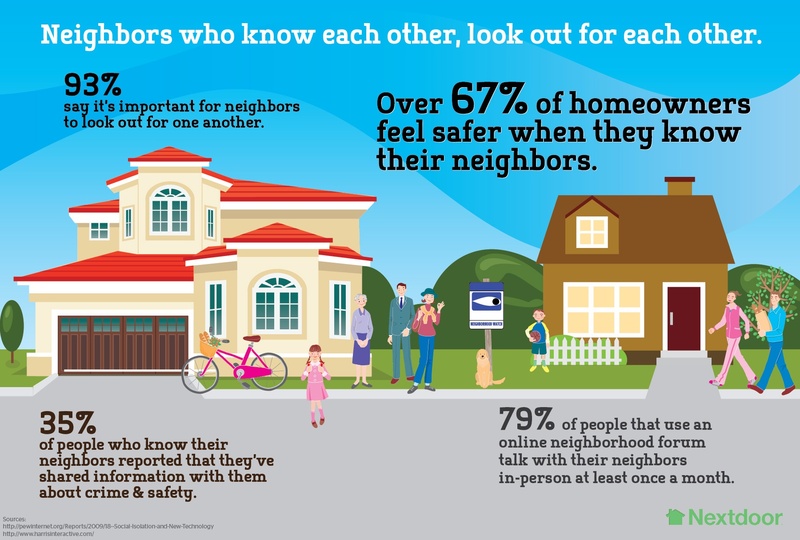 This information was posted on Nextdoor.com to give homeowners in the San Ramon area safety tips for burglary prevention during the fall season. It was posted in September and written by Kyle Madison, Regional Manager for Security Pro Group. It is definitely worth the read and very informative to help any homeowner complete steps to protect their family. The Halloween countdown has begun! With a month's worth of pumpkin carving, haunted houses and free candy, there's a lot of fun to be had for sure! Let's make sure that the worst thing to happen in your home this Halloween is a tummy ache. Four Things to NOT do when your ADT Home Security System sounds. Now that you've installed your ADT Home Security System, it's tempting to feel like you're Chuck Norris. No one will mess with you now and you can check security completely off the list... right? Well yes and no. Yes, you invested in a great deterrent and in the event that someone does still try to come in, a VERY loud siren will sound as a further deterent. While my personal story warrants a good chuckle, I don't think my response is a-typical of what other might do. So read on, feel free to laugh heartily at me, and get a mental snapshot of what NOT to do when your alarm sounds at your home. If you don't make my mistakes, and fully utilize the features of an alarm in a real emergency, it will help keep you and your loved ones safer. How did I even figure out what NOT to do when the Alarm System Sounded? 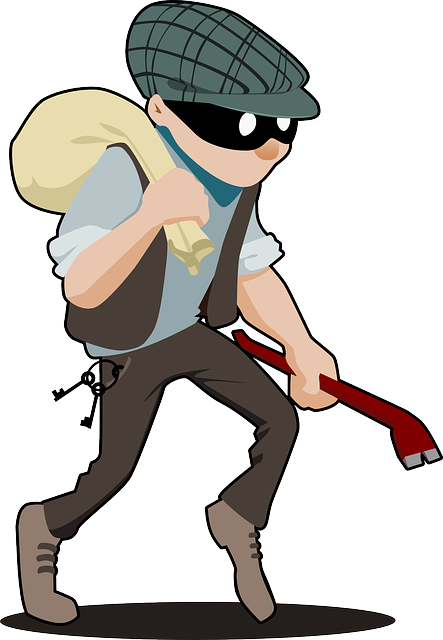 Home Security statistics show that burglaries skyrocketed during July and August. 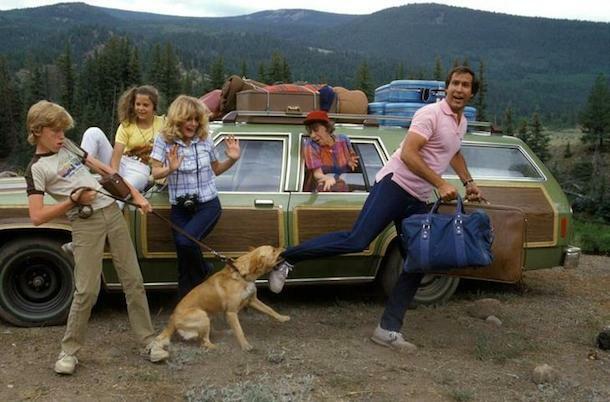 It's no coincidence July and August are also the months that more people take vacations than any other month. Beach Properties of Hilton Head offered up this Ultimate Checklist of things to do before leaving on vacation. We think they hit the nail on the head. As a home security company, it's a top goal to help you achieve peace-of-mind in every way we are able to. 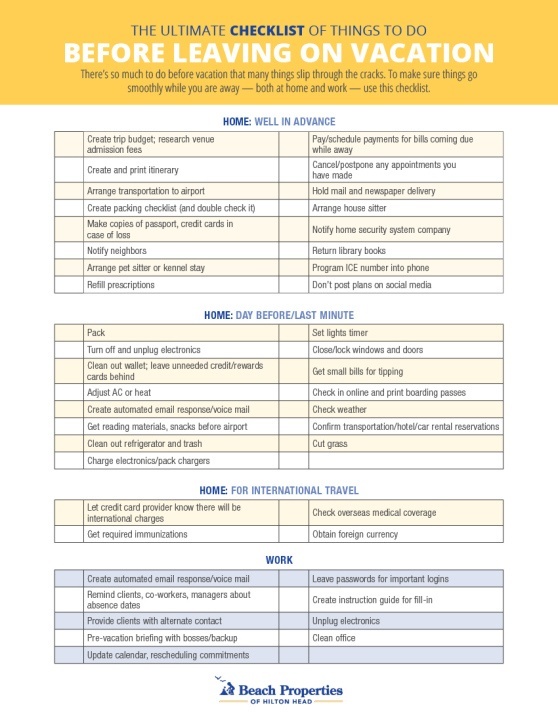 Print this list and have the security of a well planned vacation. As a burglary survivor, I realize most people will think about what material items a burglar will take if you come up a statistic. They will think about a place to keep valuable that aren't out in the open. For many women, the jewelry in a top drawer. Yes, it's not a secret, not even to thieves. (Let's find a better place ladies. )What most people don’t realize is that a thief takes away your peace. They take the place where you come home to relax, lay your head down and feel safe, and momentarily shatter that. As a homeowner in California, it's very important to secure your home-- especially if you and your family enjoy going on vacations whenever you can. 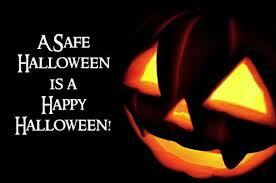 Once the family is away, this becomes the perfect opportunity for burglars and intruders to get into your home. 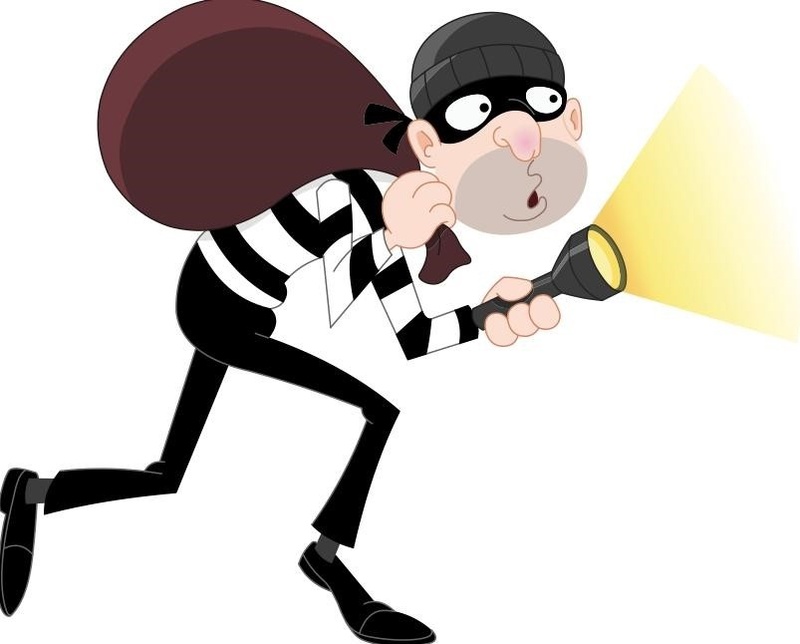 Likewise, the majority of burglary incidents are caused by thieves taking advantage of opportunities, such as vulnerable windows, unlocked doors, and spare keys left in the most obvious places. So, how can you prevent being a victim of this? The answer is simple. Familiarize yourself with some of the most effective security measures that you can take. How Often Do You Need to Replace Your Carbon Monoxide Detectors? I attended an ADT convention where they had a customer share her story of the life saving experience she had with Carbon Monoxide Poisoning. It is a touching story. When leaving for vacation or traveling over the holidays to visit family, it is important to take steps to protect your home while you are away. What are best ways to ensure your home remains secure when you are gone and how should you arm your security system? Think You Have Nothing to Steal… Think Again… What About Identity Theft? "I don't have anything to steal," says Jonathon to the security consultant while discussing home security. 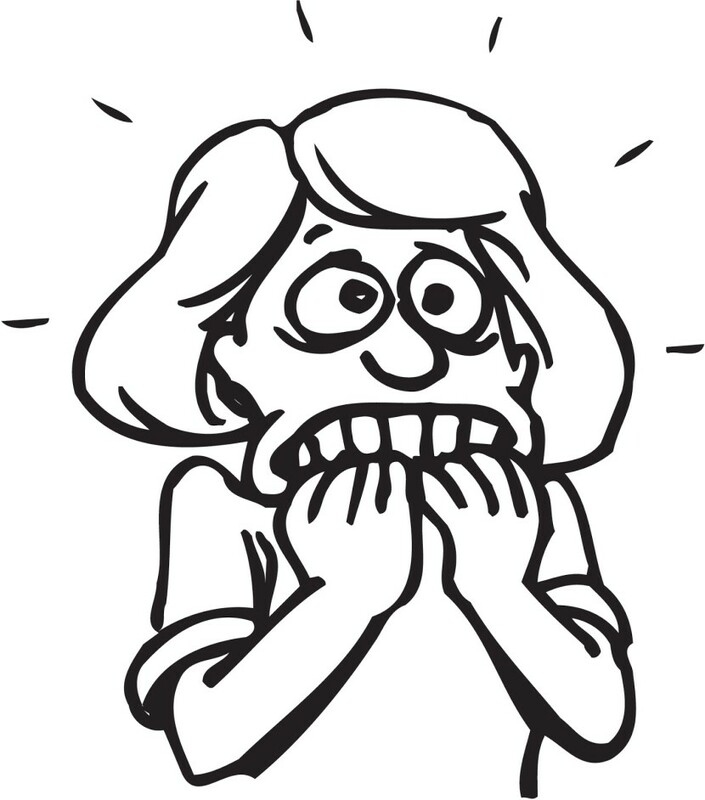 It's a common response one hears as a security system consultant. "We're just starting out," "We are minimalists and most of what we have is not worth much," similar statements are made to reflect that even in the event of a break-in, the monetary value of what might bet taken is small. 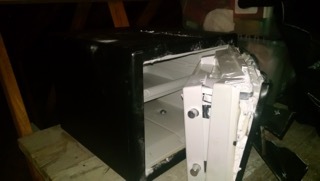 While this can be true, this picture shows a safe that was in our own Bill Wood's clients' home. A couple that did not think about their identity being stolen and now all of their important papers are in the hands of a burglar. This safe was tucked away in an Attic. Having your personal papers stolen can lead to identity theft. Information as simple as the mail on your counter can lead to months of being drug through hell as someone else assumes your identity and wreaks havoc on your credit, bank accounts and life.